Dreaming of a career in executive production? Whether you aspire to manage creative endeavours in film, television, live shows, events, festivals or video games, you need more than creative talent and skill, our upcoming info session is for you! 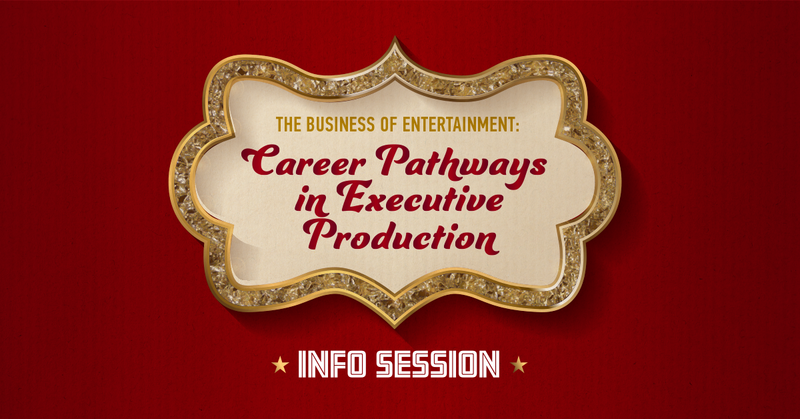 Join us April 16 from 6 - 7:30 PM to explore the Business of Entertainment and Career Pathways to the Executive Producer's Chair. The Professional Development Certificate in Executive Production in Creative Industries is a non-credit program designed to equip professionals with practical knowledge, skills and competencies required of an executive producer to oversee, plan, organize, direct and control all the aspects and development phases of the end-to-end life cycle of capital-intensive large-scale creative content projects and commercial entertainment products. 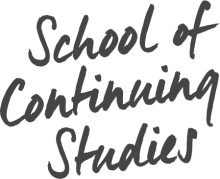 Focus is placed on fundamental principles and best practices of initiating, financing, conceptualizing, planning and producing creative content products, including most frequently used business tools and talent management practices; complex environment of creative industries; "definite" versus creative content environments; business models; creation life cycle model; legal considerations; as well as marketing and brand management. The program is offered in English and must be completed within 2 years. 21 years of age and over AND at least five (5) years of relevant experience in the entertainment industry. Contact our partner, National Bank, to help you make your project a reality. Make an appointment at your closest branch. This course explores the ten project management knowledge areas outlined in the PMI’s A Guide to the Project Management Body of Knowledge (PMBOK® Guide - Sixth Edition). These include Scope, Time, Quality, Cost, Human Resources, Communication, Risk, Procurement, Stakeholder and Integration management to demonstrate which traditional and agile project management methodologies can be applied to the realities of creative content environments and which ones need to be adapted.